ronaldinho-soccer.com – Who is Ronaldinho Gaucho? Do you know who Ronaldinho Gaucho is? 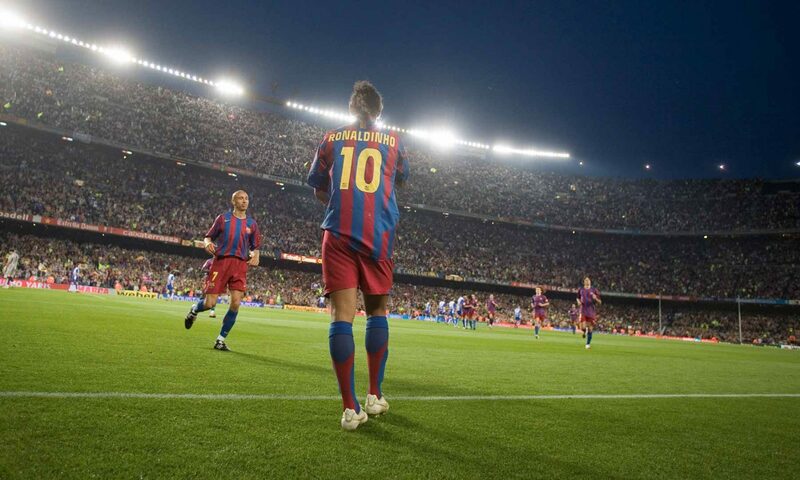 Here is the answer: Ronaldinho Gaúcho is the full name of this great football player. Ronaldinho is his first name. Gaúcho – last name. When this Brazilian soccer star has decided to continue his career in Europe, he thought that the full name containing sixteen symbols would not fit on the back of his shirt. There was no other Ronaldinho around and as Ronaldo (not Christiano, but the “real” Brazilian one) was enormously popular back in 2001 when Ronaldinho moved to Europe, this name seemed to be an excellent choice. This site is a tribute to Ronaldinho – the great curly football magician with unique smile. His football career has been so successful that a wax copy of him has been made for Tussauds museum in China. He was also a first ever person to reach one million views on YouTube – all categories. Unfortunately he has not played for Brazil in World Cup 2010 and World Cup 2014. Who knows, maybe with Ronaldinho in starting eleven Brazil would win over Germany in semi-finals? When did Ronaldinho become popular? This is a difficult question as popularity depends on how you define it. If we are talking about local popularity of Ronaldinho – in his home country Brazil – he got a lot of attention when he was 13 years old – in 1993. He played for a junior team and scored over 20 goals in one game. This is how Ronaldinho became a star in Gremio. When he was 18 he joined the main team and started playing in various national tournaments in Brazil. Explosive midfielder with amazing dribbling skills and tricks has quickly become very popular all around the country of Brazil. One year after he started playing as a senior, he was invited to join Brazil National Team. It was on the verge of centuries – year 1999. The European popularity started two years later when he moved to France and started playing in French League. His years in Paris was a great way to get accustomed to European football style. He was still considered to be attacking midfielder, but was allowed much more freedom on the field and in many matches he was acting as a forward. Number of goals Ronaldinho was scoring increased with every season and the quality of his tricks became more and more astonishing. 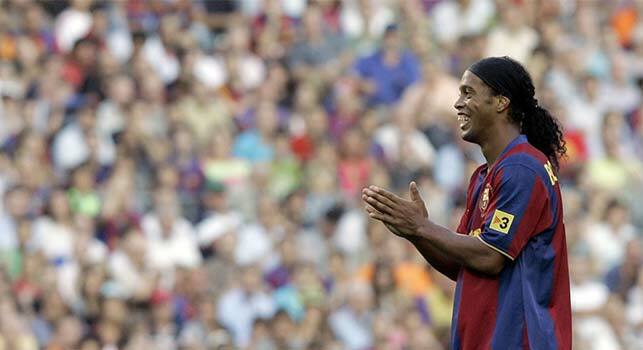 The Worldwide popularity of Ronaldinho was the fact in 2003 when he moved to Spanish La Liga. This was also the time of his major successes with Brazil National Football Team. Which clubs has Ronaldinho played for? Throughout his career Ronaldinho has played for seven different clubs. He started his senior career when he was eighteen. He joined the club Grémio senior team after having played in this club as a junior for eleven years. He scored 21 goals during three years in Gremio – between 1998 and 2001. This was a success for a young player and European agents noticed Gaucho. Paris Saint-Germain – currently the club of Zlatan Ibrahimovic – was Ronaldinho’s first European destination. Back in 2001 PSG was not that famous as it is now. Ronaldinho managed to score seventeen goals for this club until he continued with a real star contract. He joined Barcelona – one of the best clubs in the world – in 2003. Ronaldinho’s era in Barca was the era of his stardom. He scored seventy goals in total in 145 matches played which is an amazing result for an attacking midfielder. He scored on average in almost every second game which is phenomenal. The tricks he have been doing on the field were attracting viewers and marketing managers from all over the globe. 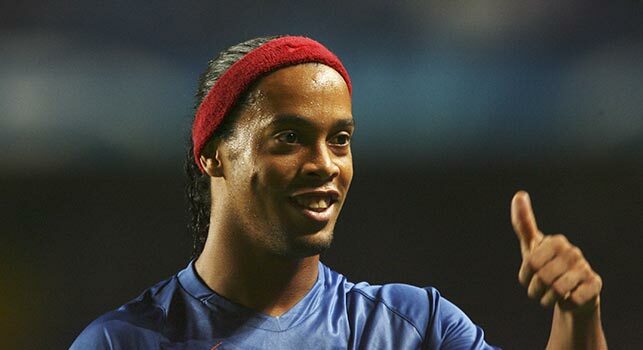 Ronaldinho has become a real success as a face for various brands – such as Nike and Pepsi. He also got selected into various dream teams of the century. 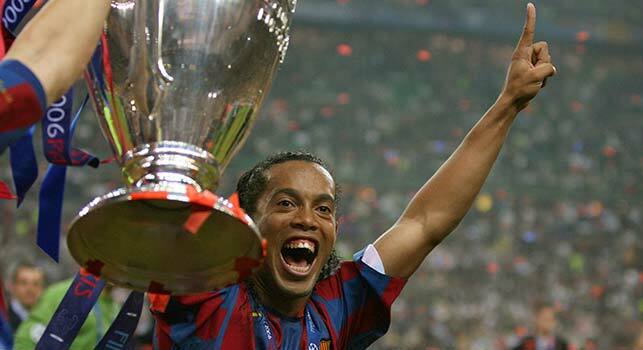 After Barcelona Ronaldinho was bought by Silvio Berlusconi into AC Milan. This happened in 2008. Ronaldinho has become a father back in 2006 which changed his life priorities a bit. He was still a great player, but now he had to balance his life between being a football star and a great father. After all amazing marketing deals he has got, he felt quite comfortable with the money he had in his account. This led to the fact that he became less “hungry” on the football pitch. His tricks were still awesome, his attitude was still out of this world. Constantly smiling, being nice to his partners and opponents, joking and having fun – this is how Ronaldinho will be remembered. Always in a good mood. Unfortunately, the amount of goals Ronaldinho has scored was not as large as it used to be. He scored only 20 goals during his 3 years in Milan. He was no longer being selected to join Brazil National Team and was playing for fun. Because he loves the game. No pressure, no thinking about the money. Just doing what you love to do and making us, spectators, love what we see. Isn’t it what the game of football is all about? After AC Milan, Ronaldinho decided that he was too old for Europe. He was 31 years old and wanted to go back to his home country – Brazil. He joined Flamengo for a year or so and then switched to Atletico Mineiro for another two. Suddenly his form came back and he started to score almost as often as he used to back in Barcelona. With one of his Brazilian clubs he managed to win Continental Cup and went to Morocco to FIFA World Championship for Clubs. This is where most of his European football fans saw him playing for the last time. In 2015 Ronaldinho will turn 35. Unfortunately, this means that his career will soon be over. But it is not quite over yet. He joined Mexican club Queretaro some months ago. Now he makes Mexican football fans happy with his game. Who knows how the saga about Ronaldinho will continue? Maybe we will see him playing for other clubs on other continents in the future? Maybe he will once again join Brazil National Team for World Cup 2018? The odds for this are really low. We will for sure be hoping for this to happen. Miracles happen and everything is possible with a guy like Ronaldinho.